With all of your insurance policies, from homeowners to auto insurance, you may think that you are protected from any unfortunate situation. However, if you are involved in a costly lawsuit due to an accident at your home or on the streets, you may find yourself without enough coverage. Investing in a personal umbrella insurance policy is the best way to ensure that you have the right amount of protection. Just like an actual umbrella is meant to protect you in case of bad weather, an umbrella insurance policy will protect you in case of a bad situation. A personal umbrella policy will provide the extra liability needed once the liability of all of your other insurance policies has run out. Since there is no way to avoid every potential accident, having the right insurance policy is the best way to make sure that you are protected. 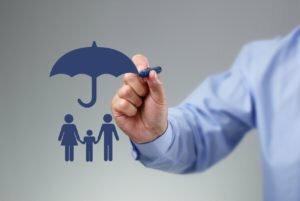 Typical personal umbrella insurance policies provide $1 million in coverage, and then increase in million dollar increments. While this may seem like a lot more coverage than you will ever need, it probably is not. Consider if your neighbor comes over for a friendly visit and slips in your yard. They would have every right to sue you, and if they do, chances are they will sue for more than what the liability of your homeowners insurance will cover. Having a personal umbrella policy will provide the extra coverage needed to ensure that you are not financially devastated just because of one accident at your home. For all of your personal umbrella insurance needs throughout Northern California, contact McCarty Insurance Agency in Fresno. We will work with you to ensure that you have the right amount of coverage for any situation in your life.